Jesper Svenbro was born on 10 March 1944 in Landskrona. He is a poet and classical philologist specialising in Ancient Greece. He was elected to the Swedish Academy on 5 October 2006 and admitted on 20 December 2006. Svenbro succeeded the poet Östen Sjöstrand at Chair number 8. He lives in Thorigny-sur-Marne outside Paris and is directeur de recherche at the Centre national de la recherche scientifique (CNRS). He is a member of Centre Louis Gernet in Paris. Among his awards are: the Swedish Radio Company’s poetry prize in 1993, the Bellman Prize in 2000, the Ekelöf Prize in 2001 and the Övralid Prize in 2005. After finishing school in his hometown, Landskrona, Jesper Svenbro studied Latin and Greek at the University of Lund and began his doctoral studies at Yale University in 1969-70. While studying for his doctorate at the University of Lund (1970-76) he spent three years in Rome, moving to Paris in 1977 after presenting his thesis, there to continue his research at the Centre Louis Gernet. His doctoral thesis, La parole et le marbre (1976), on the emergence of Greek poetry and written in French, became the foundation for his international career in research. It was later followed by his strongly cultural-anthropological study, Phrasikleia: An Anthropology of Reading in Ancient Greece, in 1988 (translated into English, Italian, modern Greek and German), which attempted to understand the way ancient Greeks read. As a twenty-two-year-old and still studying, he made his poetry debut with his collection Det är i dag det sker ‘It Happens Today’ (1966). It was an ambitious debut, with wide pretensions. It takes us from the geographical and cultural breadth of the introductory ”En dikt om Europa/A poem about Europe”, with a palpably European tone that will resonate throughout the author’s work, to purely atmospheric images from Northern Sweden inspired by Tomas Tranströmer. Taking into account Svenbro’s breadth and level of ambition, it is remarkable that it took another thirteen years until his second poetry collection, Element till en kosmologi och andra dikter ‘Element for a Cosmology and Other Poems’ (1979). By then, his classical Greek and modern French legacies — specifically the metapoetic — were firmly entrenched in Svenbro’s poetry. During those thirteen years, Jesper Svenbro had been grappling with both the origins of Greek poetry — what occurred when people began to give serious consideration to poetry and its requirements — and the most vocal of all contemporary metapoets (poets who expressly speak of poetry in their poems): Frenchman Francis Ponge, interpreted by Svenbro in his book Ur tingens synpunkt ‘From the Point of View of Objects’ (1977). These two sources of inspiration changed the course of his writing and he became in his turn the most advanced metapoet of Swedish writers — and perhaps the most thoroughly intellectual. He can be said to represent the more Continental final phase of the equally metapoetical but more Anglo-Saxon-leaning Lund school of which Göran Printz-Påhlson was a central figure in the 1950s. This tendency in Jesper Svenbro’s writing is visible in subsequent poetry collections. Element till en kosmologi was noteworthy principally for its absolutely virtuoso treatment of classical and traditional poetry forms, while the following, Särimner (1984), elegantly succeeded in uniting vital elements of Nordic and classical Greek mythology, as did Samisk Apollon och andra dikter ‘The Sami Apollo and Other Poems’ (1993) almost a decade later, where the Swedish mountains were given Olympian proportions. Between those two came Hermes kofösaren (1991), which must be seen as exemplary of the more orthodox metapoetic phase of Jesper Svenbro’s ouevre. One might even call Hermes kofösaren ‘Hermes the Cattle Herder’ – alongside Göran Printz-Påhlson’s Gradiva och andra dikter ‘Gradiva and Other Poems’ (1966) – the most metapoetic of all Swedish poetry collections. Every poem is actually speaking to itself, regardless of what it seems to be about. The collection begins with a dryly humorous tone symptomatic for Svenbro in 1991: ”Contrary to claims by connoisseurs / pasteurisation did not finish off Pastoral Poetry / but was instead a turning-point for all cheese production / since it allows us to use the bacteria we desire / as lyrical flow coagulates into poem.” It must be said that this is more about the poem’s underpinning than cheese’s. The early Nineties were however not only the high point for refined metapoetry but also its finale. The extremely fastidious poet Jesper Svenbro not only began to write more, he also became personal in an entirely new way. Blått ‘Blue’ (1994) is a transition. Within the framework established in the 1980s of loose but still rhythmically strict poetry – and within the framework of a milieu where poetry is still the main subject – a new element appears, namely the autobiographical. With Blått and subsequently, childhood becomes a fundamental benchmark outside poetry — his own, intimate childhood in the southern province of Skåne. Blått was followed by Svenbro’s so far bulkiest poetry collection, the equally ponderously titled Vid budet att Santo Bambino di Aracoeli slutligen stulits av maffian ‘On Receiving the News that Santo Bambino di Aracoeli Has Finally Been Stolen by the Mafia’ (1996), which begins with the secret cow paths of childhood usurping poetry — ”at the end of every cattle track lies a new poem” – and throughout the collection, childhood and memory appear as the spring of true poetry. But the linguistic precision indicates clearly that this is also a multi-lingual expatriate Swede’s memory project to retain vitality in the mother tongue. 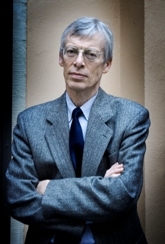 With a three-year interval, Svenbro then published essays in Swedish – until 1999 his non-fiction prose was in French, but with Myrstigar ‘Ant Tracks’ (1999) and Fjärilslära ‘Butterfly Logic’ (2002) even Swedish readership was given a taste of the precise, laconic essayist Svenbro. Myrstigar revolves around various Greek rhetorical figures, and to a certain extent is a popularised version of the more scientifically calculated Phrasikleia. In the successor, Fjärilslära, antiquity is no longer universally prevailing; Svenbro investigates Swedish precursors such as Stiernhielm and Printz-Påhlson – but his theme is largely constant: rhetorical figures. Svenbro has also made a return visit to the Rome of his youth and written texts for Sweden’s illustrious post-war photographer Lennart af Petersens for his magnificent Ljuset och rummet (2004), with photographs from Rome in 1949. A further three poetry collections have so far been published: Installation med miniatyrflagga ‘Installation with Miniature Flag’ (1999), Pastorn min far ‘My Father the Pastor’ (2001) and Himlen och andra upptäckter ‘Heaven and Other Discoveries’ (2005) and Vingårdsmannen och hans söner (2008) The Vineyard Man and his Sons). Pastorn min far gained attention for its affectionate portrait of his father who died all-too young. The work becomes a depiction of the second World War with the Book of Revelations as a scenario both possible and impossible at the same time. In the equally autobiographical but blissfully clarified Vingårdsmannen och hans söner, clergyman’s son Jesper Svenbro approaches the language of the Bible and images via Aesop’s fable of the farmer who on his deathbed informed his sons that “if you search for what I have hidden in the vineyard you will find all”. Naturally the sons find nothing but their digging renders the soil so fertile and workable that this was reward enough. Like so many others, Svenbro draws a parallel between life and reading : ”Du kan ärva en bok / men inte dess mening. / Finnandet ligger i sökandet. / Meningen uppstår / i dig”. ”You can inherit a book / but not its meaning /The finding lies in the searching / The meaning arises / in yourself”. In addition, seventeen of Jesper Svenbro’s studies of antiquity have finally appeared in Swedish, in the collected volume Försokratikern Sapfo och andra studier i antikt tänkande (2007). (‘Pre-Socratic Sappho and other Studies of Antique Thought, Jesper Svenbro works in the tradition of the Centre Louis Gernet in Paris, his workplace for the past thirty years, at the intersection of robust philosophical knowledge and inventive hermeneutics. The seventeen studies follow the thesis that accepted Western historiography, with its sharp demarcation between mythos and logos at the time of the pre-Socratic philosophers, is all-to definitive. Myth lived on long into the age of philosophy. In this way, for example, Sappho the poetess was taken up into the philosophers’ circle just as the pre-Socratics were into the poets’.